The Complete First Season Is Now 20% Cooler! It’s all here! 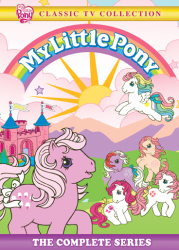 The complete first season of the hit animated series My Little Pony: Friendship Is Magic can now be seen in its entirety in this awesomely hilarious, cheerfully adorable four-disc set! 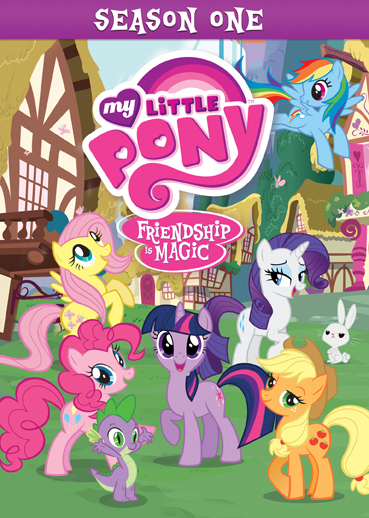 Join Twilight Sparkle as she sets off on her assignment to learn the true meaning and value of friendship through her crazy, laughter-filled adventures with the other ponies of Ponyville; Apple Jack, Rainbow Dash, Fluttershy, Pinkie Pie, and Rarity! 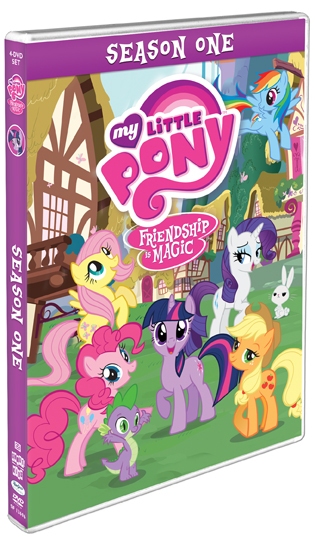 Includes ALL 26 Episodes of My Little Pony: Friendship Is Magic’s first outrageous season!